Last weekend I was in full festival mode. Rompers are essentially my go-to for the Summer in general because they are great for all day outside wear in the heat. 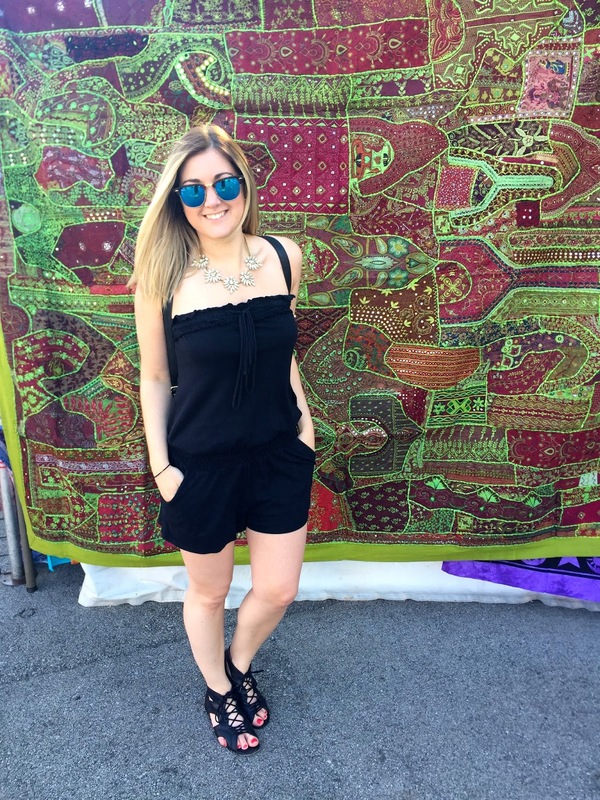 This strapless slouchy romper was perfect for the laid back Summer Fest vibe in Milwaukee last weekend, and a bonus was this great back drop I found at one of their boutique booths. If you're ever in the area or close by Milwaukee I definitely recommend making a stop for some live music!